The painting "Annunciation" or "The Annunciation" by Leonardo da Vinci was painted, with Andrea del Verrocchio, circa 1472–1475. The wings were later extended by another artist. When Annunciation came to the Uffizi in 1867, from the monastery of San Bartolomeo of Monteoliveto, near Florence, it was ascribed to Domenico Ghirlandaio, who was, like Leonardo, an apprentice in the workshop of Andrea del Verrocchio. 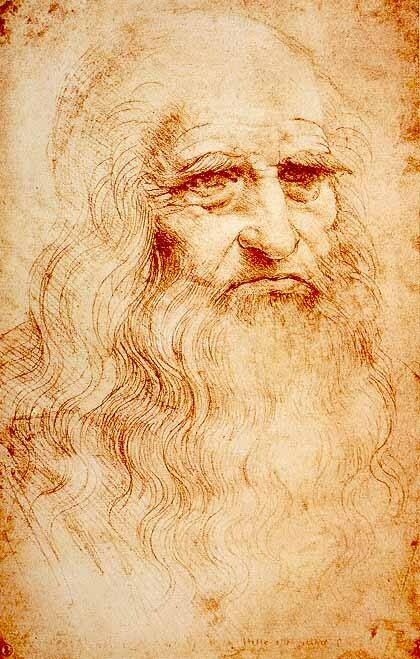 In 1869, some critics recognized it as a youthful work by Leonardo di ser Piero da Vinci. The marble table, in front of the Virgin, probably quotes the tomb of Piero and Giovanni de' Medici in the Basilica of San Lorenzo, Florence, which Verrocchio had sculpted during this same period.